Trust the professionals at VAC-TEC LLC for residential septic tank pumping in Redmond, WA and the surrounding areas. Our residential septic tank pumping services are available at competitive rates. All of the residential septic tank pumping jobs are completed by skilled trained technicians with years of industry experience. Offering a fast, professional residential septic tank pumping, we make it easy and convenient for homeowners to maintain their septic system. With excellent equipment and methods, our technicians ensure a thorough residential septic pumping job for your Redmond home. A septic system will serve a commercial property efficiently only if it is properly maintained. Without commercial septic tank cleaning and pumping, a septic system may become a nuisance. Routine commercial septic tank cleaning is the key to preventing costly repairs. Commercial septic tank cleaning is essential to removing excessive sludge buildup in the tank. How frequently you should seek commercial septic tank cleaning depends on the size of the tank and the usage of the system. We recommend that every 3 to 5 years a system should undergo commercial septic tank cleaning & pumping in Redmond. During commercial septic tank cleaning, we thorough remove and dispose of waste materials. We also specialize in inspecting baffles for blockages and stress testing the drain field. Our commitment to delivering the best possible septic services drives us to stay abreast with the latest equipment and technology. 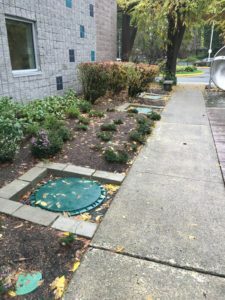 Regardless of your specific needs, we are your go-to company for commercial and residential septic tank pumping and repair services in Redmond and the surrounding areas. 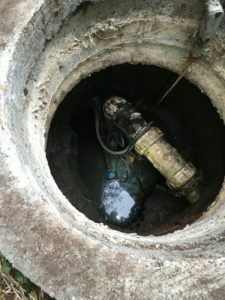 We are available 24 hours a day, seven days a week to handle emergency residential or commercial septic tank cleaning and repair needs in Redmond. We will come out as quickly as possible to resolves septic tank problems. To schedule a commercial or residential septic tank pumping service in Redmond, do not hesitate to call VAC-TEC LLC at (206) 339-0039.